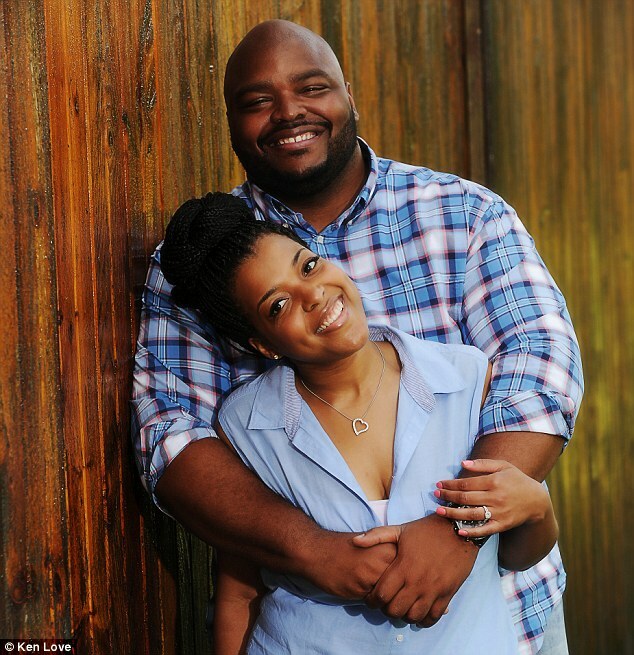 The 29-year-old Dallas ICU nurse said the ring, from fiancé Derrick Markray, was destroyed along with a binder where she was keeping all the details and arrangements of her wedding. The ring (inset) was lost amid many of Miss Vinson’s personal possessions at her home in Dallas, Texas, which were burned by hazmat clean-up crews to prevent the spread of Ebola. 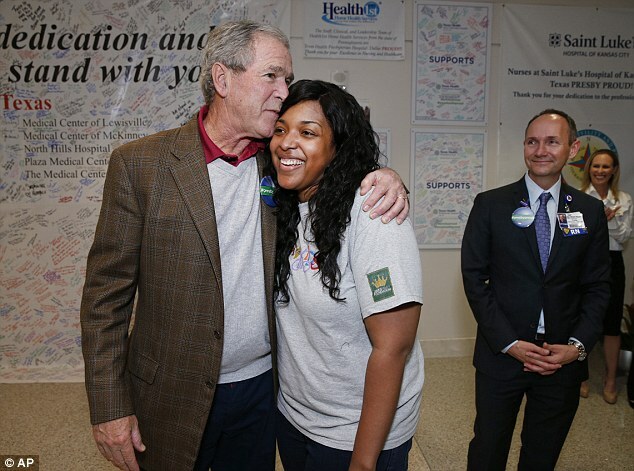 On the bright side, Miss Vinson met former president George W Bushon Friday who planted a kiss on her forehead.